UNM Newsroom / News / Tax Planning Update: How Will The New Tax Laws Impact You? Tax Planning Update: How Will The New Tax Laws Impact You? Join UNM Financial Wellness and Edwin Fernandez with Voya/Legacy Financial Group presenting February’s Financial Wellness workshop providing strategies to reduce your taxable income, lower your income taxes, and understand how the new income tax laws and rates may impact your tax situation. Two free sessions on main and north campus are scheduled respectively on Feb. 22-23 from 12 to 1 p.m. 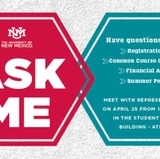 The main campus session on Feb. 22 will be held in room 1018 at the UNM Business Center, while the north campus session on Feb. 23 will be in the HSLIC Library, 428. Interested attendees may Join Skype Meeting for the main campus session, while HSC attendees can Join Webcast. Gain a better understanding of your “top marginal tax bracket” and decide what actions to take now and in the future. Registration and virtual access are available on the Monthly Financial Wellness Seminars webpage.